Dip into the world of Bob Franklin’s fiction at your own risk. The calm surface belies a swift undertow and snags galore. These are not horror stories in the traditional sense; they are more unsettling than that. Under Stones are uneasy tales, set in familiar surrounds. They are journeys into the human psyche and powerful critiques of contemporary Australian society. 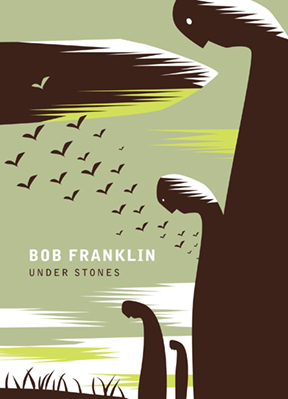 Bob Franklin pokes and prods at human fears and foibles, revealing with forensic glee truths that you might prefer were, well, left under stones.